The ancient hillfort at Norton Fitzwarren has been secured for future generations to enjoy. Taunton Deane Borough Council has been working with Historic England, Norton Fitzwarren Parish Council and the South West Heritage Trust (SWHT) to protect Norton Hillfort. 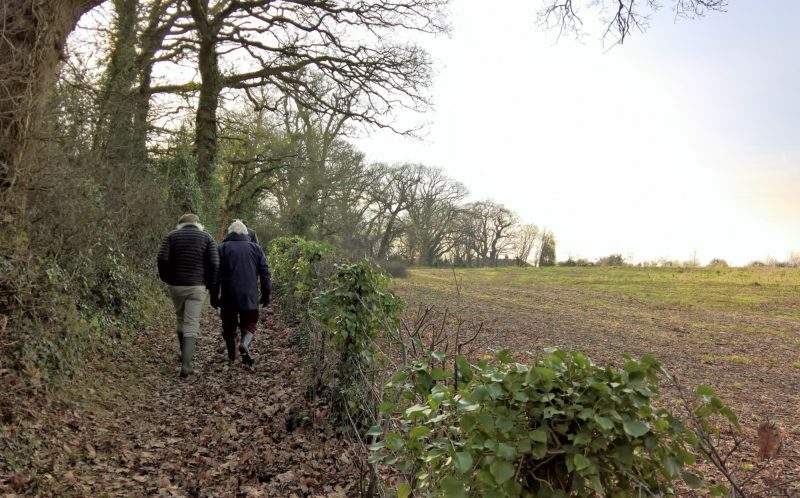 The Council already owns the outer portion of the site including the wooded areas and has helped to negotiate the purchase of the remaining land with a significant grant from Historic England and contributions from the SWHT and NFPC. In time the whole site will be united to create an informal space for the community. The Hillfort is the site of a scheduled monument believed to date from the Neolithic era and contains important archaeological remains. Ploughing was considered a key threat. The site will require many improvements over the coming years to preserve and protect ancient earthworks, enhance the site and ultimately remove it from Historic England’s Heritage at Risk Register. The first step to clear scrub, manage the trees and encourage natural flora and fauna has already begun to avoid any habitat work in the bird nesting season. It is hoped that the site will be managed in the long term by the SWHT who look after many similar sites in the Somerset. Under their expertise, and in conjunction with Norton Fitzwarren Parish Council, there will be plenty of opportunities for the community to celebrate the hillfort. They will be invited to become involved in archaeological events and projects to create public access and enjoyment including the provision of open air trails, wildflower meadows and forest school facilities. An event will be held to coincide with the Festival of British Archaeology on the 27 July 2019. Further details about this event will be released in due course. You can read more about the archaeological features of Norton Hill Fort on the Somerset Historic Environment Record.